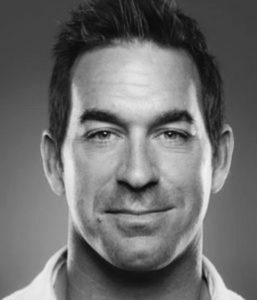 Casey Powell is an entrepreneur, endorser, player, coach and lacrosse ambassador. Since graduating from Syracuse University, Powell has spent his professional career traveling the world playing, teaching and helping to spread the game of lacrosse. He has represented several notable companies such as Reebok, Easton, Warrior, Toyota, SoBe, Brine, Bud Light, DYG, Disney, Muscle Milk, Body By Jake and Major League Lacrosse (MLL). Casey hosted his own lacrosse radio show for Sirius XM and has done commentating for MSG network, ESPN and CBS Sports Network. Casey is an accomplished lacrosse player considered to be one of the best ever. In college he was a four time All American and two-time National Player of the Year. He’s the only player in NCAA history to be an All-American at more than one position (attack & midfield). In the past 15 seasons Powell has played professionally for many teams and is one of only 2 players ever to be named MVP in both the MLL and National Lacrosse League (NLL). He’s the only American player to ever be MVP of the NLL. He has been selected to play on three United States Men’s National Teams and was captain of Team USA in 2006 and again in 2011. He was selected to the All Century Team, MLL All Decade Team, Upstate Lacrosse Hall of Fame, and the National Lacrosse Hall of Frame. Casey is currently the owner of Casey Powell Lacrosse, which runs camps, clinics, clubs and tournaments nationally. He is also the cofounder of the World Lacrosse Foundation. He resides in Sarasota, FL. 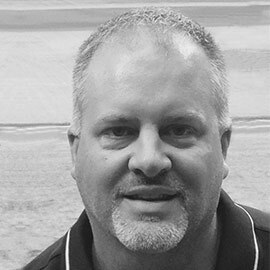 Rob brings over 27 years of sports & entertainment marketing experience to SPEED Lacrosse®. The Founder & CEO of Entertainment Sports Partners, Inc. (ESP), the company connects brands with fans through sports marketing rights, endorsement engagement and sponsorship opportunities. ESP has managed sports marketing business for blue-chip clients such as American Express, Airbus, Alcatel, Anheuser-Busch, NetJets, Gulfstream, Cargill, Visteon, Ford Motor Company, the PGA TOUR, the European PGA TOUR, the LPGA TOUR, the USGA and the Golf Writers Association of America. ESP is the management company for former World #1 ranked Professional Golfer, Mr. Ernie Els. 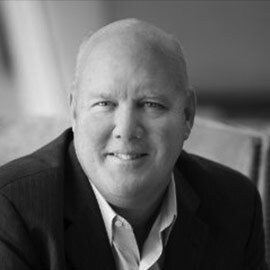 Prior to ESP Rob was CEO of Legends, North America. A graduate of Florida Southern College, Rob currently serves as Chairman of the Advisory Board at the Center for Sports Business at Florida Southern College. Originally from Connecticut, Rob resides in Orlando, FL with his wife Karen and their two children. Terry Riddle is the Owner and Managing Partner of Amateur Athletic Sports International, a 501(c)(3) subordinate to the Amateur Athletic Union, and a Managing Partner with H&R Properties of Central Florida. He holds a real estate license in good standing with the State of Florida and has been a Realtor since 2006. Terry’s passion for sports is evident in his more than 30 years of experience as an athlete, coach, and Club administrator. Since 2010, Terry has served as the AAU Florida District Director, Tackle Football and Recreational Cheer and sits on the AAU National Football Committee. Terry’s knowledge and perspective on youth sports is highly sought after as he is in his 2nd year on the National Advisory Board for Youth Football to USA Football and the National Football League and has recently accepted a position on the Advisory Board for Nike Coaching Clinics. Terry and AASI have represented AAU since 2010 as the host of the AAU Tackle Football National Championships which are considered one of the nation’s premier youth sporting events. He was named in 2014 as USA Football’s Inspiring Greatness Coach of the Year. Within the Community, Terry is one of the founders of Florida Youth Football and Cheer and serves as the President of the Executive Board of Directors as well as the President of the West Orange Bobcats AAU Club in which he has been a member for the past 10 years. He has over 17 years’ experience in amateur sports in Florida of which he proudly has been a head coach in the Bobcats’ Organization for the past 6 seasons. Terry has led the charge along side local partners in West Orange County since 2013 to provide over 100 athletes opportunities to participate in sports through partial and full scholarships. These opportunities have not only involved on field benefits, but also, academic assistance programs with a 97% success rate assisting athletes on probation. Originally from Alabama, Terry now resides in Windermere, Florida with his wife Kathi and their two sons, Carter and Camden. 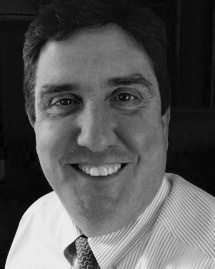 Chris has worked in senior management positions with emerging cable television networks including New England Sports Network (NESN), The Golf Channel and HorseRacing TV (HRTV) and has experience with niche/technology focused companies such as KlowdTV, a direct to consumer subscription broadband platform and The Lottery OnDemand, a mobile lottery solution. He is recognized for his ability to identify new opportunities, develop creative content strategies and effectively leverage an extensive personal network to achieve success.